1.) Putting in one last round of cool-weather veggies. Lettuce, carrots, radishes, spinach. Most veggies that grow underground and leafy greens have a good chance for one last hurrah before winter. 2.) 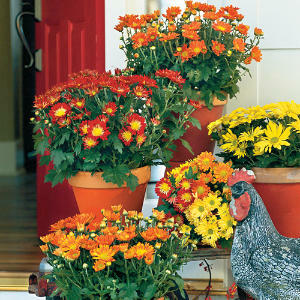 Planning some fall containers. I’m thinking chrysanthemums and ornamental kale this year…and every year after my mums stop blooming, I plant then along the side of my house. I figure it can’t hurt, and almost all of them have come back the next summer. 3.) Planting spring bulbs. My husband laughed out loud when I told him I was going to a Bulb Workshop this Saturday morning at 10a. But I am. And then I’m buying a bunch of them to plant before the ground freezes. I add a few more bulbs to the yard every year and each spring, when I think I can’t take bare ground and snow for one more minute, my sanity is saved by my bulbs. Every time. 4.) 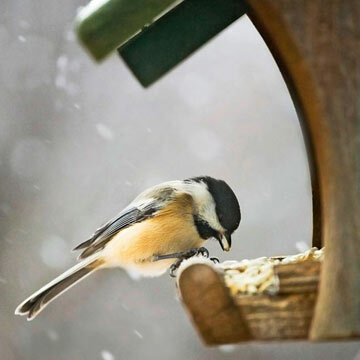 Buy birdseed and possibly a bird feeder. As plants start to die off, birds need more food. We have a bird feeder hanging outside our front window and the kids love birdwatching in the wintertime. I even bought a few bird books to keep near the window so we could identify them. 5.) Rake leaves. Mulch stuff. Who am I kidding? I’m leaving this one to my husband. I hate raking leaves. And you? 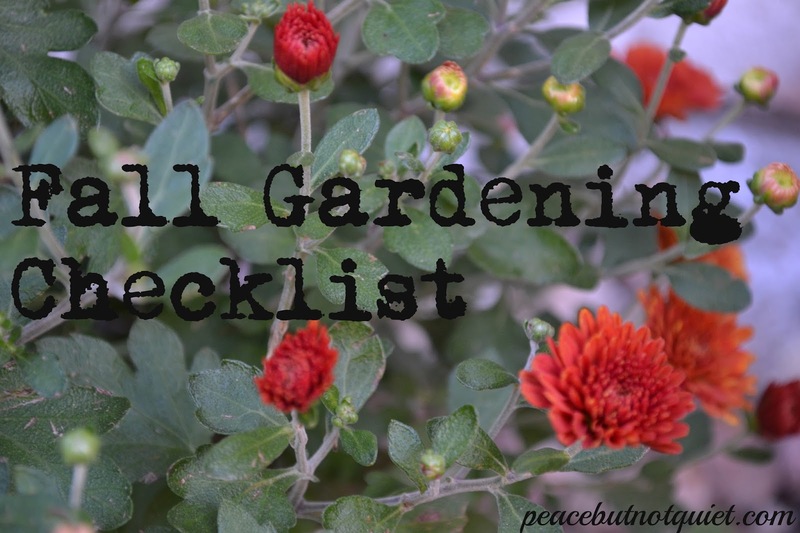 If you have suggestions for fall garden preparations, I’d love to hear them in the comments! Great ideas, getting ready for the spring garden now. Have seeds up and growing – ready for the big garden. Also started raised beds last year, and love them. Fresh herbs year round, onions, lettuce, garlic. Make two mulch containers from watching a guy on YouTube, they are awesome! His channel is homesteadeconomics, and these things are awesome! Great post! I’m hoping to get some pansies in before too long. Thank you for linking up to the HomeAcre Hop! We’d love to have you back again tomorrow. This is a great list! Thanks for linking up! Great tips! We really didn’t focus much on the landscaping this year but hope to really give it some love next year. I plan to pick up some bird seed and clear out the container I have filled with summer flowers this weekend. I will be picking up some mums as well. I love this time of year. These are great ideas! Some I’d never think of-like planting cool weather vegetables. Awesome! I’m hoping it stays nice long enough for them to produce! It’s hard to tell around here…some years we have plenty of time in the fall and some years, the ground freezes early. But I figure for a $1.50 seed packet, it’s worth the risk! Great Ideas, Thank~You for the List! !